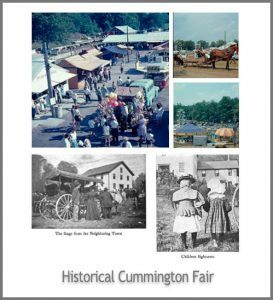 The Cummington Fair receives lots of support from the local community. The following is a short list of places you might want to visit during the fair or return to after the fair is over. On your way to and from the fair stop at the Old Creamery for great food, groceries, and a full package store. One-half mile West on Rt 9. Peppermint Park Camping Resort is located on 80 acres of wooded and grassy hillside in the Berkshire Hilltowns of Western Massachusetts. Nestled in the famous Berkshires, with their cool breezes and alluring views, Peppermint Park provides an environment where families can experience carefree camping in a quiet, relaxing, clean and comfortable atmosphere. The Hampshire Hills Bed and Breakfast Association of Western Massachusetts invites you to experience traditional New England hospitality at its best. All member bed and breakfasts are located in rural settings in or near one of the charming Colonial era villages unique to the New England countryside. The Hilltown Community Development Corporation maintains the Hilltown Business Directory in print and online.